While a bit odd to publish well ahead of reviews for the as-yet unreleased product, Google posted the results of independent testing by Allion today showcasing the performance of its Wifi system against similar mesh network products Eero and Luma. The results, given that Google decided to publish them, probably won't shock you: Google Wifi walks away with it. Using two devices for each system in a 3000 square foot, two-story house, Allion measured speeds of each system at four locations. 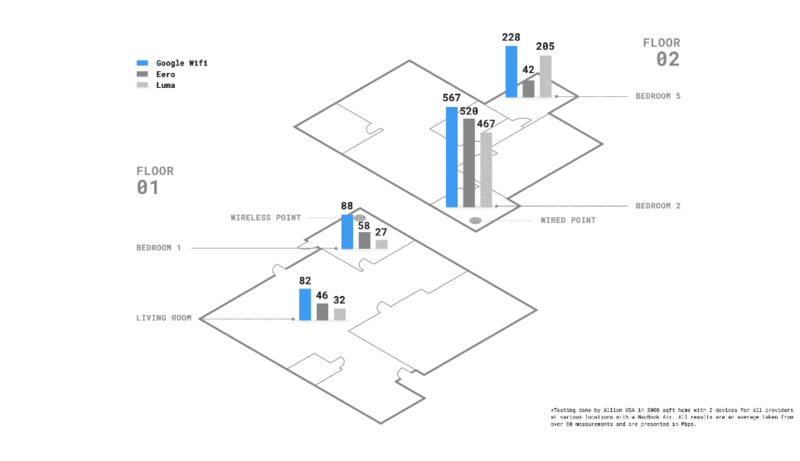 At the wired access point, Google Wifi was marginally quicker than Eero, but it's at the periphery of coverage and the secondary access point, which was not hardwired to the network, where it seems Google's product is most able to outshine competitors. Wifi nearly doubled Eero's performance in the room where the second access point was located, and absolutely destroyed Luma, offering almost three times the speed. 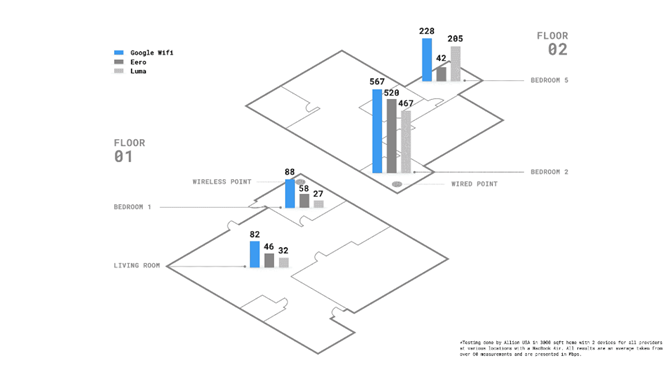 Whereas Google Wifi hovered around 80-90Mbps in these secondary coverage locations, Eero managed around 45-60Mbps, and Luma just 25 to a little over 30Mbps. Testing methodology was, of course, not specifically disclosed, but Google did use an independent vendor to conduct the test, which at least lends it some credibility in theory. The test was also done exclusively on the 802.11ac band, seemingly, so if your end devices don't support that protocol, the results here may vary. 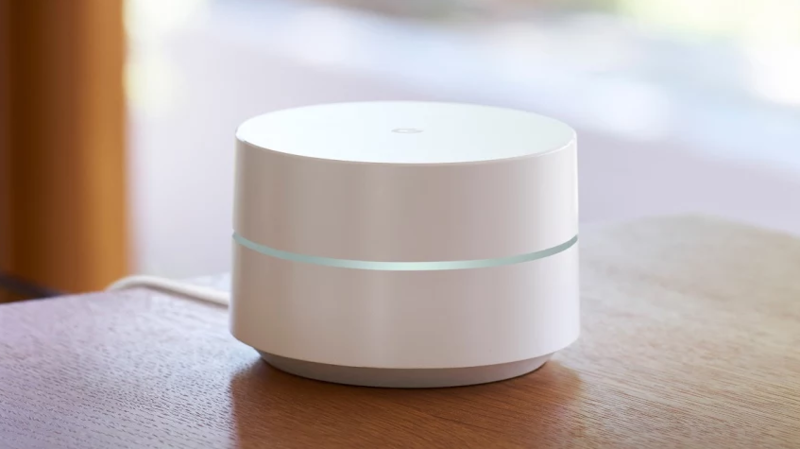 Google Wifi ships in early December.